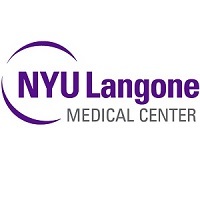 In the NYU NF Education 2015 event shared here, medical speakers of the NYU NF (Neurofibromatosis) Clinic discuss the history of NF1 and NF2, how they help patients as a complete multidisciplinary team and facts about different simple medical tests that can be an advantage to anyone with NF regardless of location of treatment. Carole Wind Mitchell: Good morning and Welcome. It is a very early start and we have a very full agenda. We should get started if we hope to stay on time. I'm the clinical coordinator of the neurofibromatosis unit. We are thrilled to have so many in attendances today. You can see by the size of this audience, that we are all together this morning, as we have some topics of interest to everyone. At noon we will break for our lunchtime social. What's lunchtime social, you ask? For lunch we've set up tables that are organized by demographics. We have the five boroughs as well as Long Island and New Jersey. We hope that by sitting together you'll build friendships, form local chapters, and find fellowship amongst your neighbors. The afternoon will feature two separate but concurrent sessions. The NF 1 session will be held in the meeting room across the hall. It's called Alumni B. The NF2 session will take place back here in this auditorium. In your folder you've been given an index card. Use this card to write down your questions. There are baskets in the back of the room for you to place your index cards. At the conclusion of each of the afternoon programs there will be a question and answer session guided by questions you submitted throughout the day. In the afternoon sessions if you have a topic you want to make a question on, write it down on your index card and pass it to the end of the aisle and have someone hold it up and we'll collect it so we have questions from the afternoon session as well. Also in your folder is an evaluation form. Please complete this form at the end of the day, and we ask that you include topics that you'd like us to present at future forums. We hope you enjoy the forum and that you get lots of information from us. Moving along, Dr. Allan Rubenstein was one of the first physicians to become interested in neurofibromatosis almost 40 years ago. He established the first multidisciplinary clinic devoted to NF. He was the founder of the National Neurofibromatosis Foundation which is now known as the Children's Tumor Foundation. He is currently the Emirates Director of affairs at CTF. It is now my pleasure to introduce Dr. Allan Rubenstein. (Applause). Dr. Allan Rubenstein: Welcome, everyone. I'm delighted to be here and talk with you for just a few minutes before the program with a number of talented clinicians and doctors begins. As Carol mentioned to you I've been interested in this disorder for many years. I was one of the first people in the 20th century to actually get interested in NF. I'm going to just give my experience to you and give you a little historical context, and then just tell you or mention to you a couple of the projects that I'm involved with that I think are interesting and hopefully will have some relevance for people with NF in the future. This rather formidable looking guy is Frederick Von Recklinghausen, who was a German pathologist who first described the clinical features of Neurofibromatosis Type 1 and Neurofibromatosis Type 2 actually, but he didn't know that they were, he didn't know they were two distinct disorders at the time, that came later. He wrote his original description about 120 years ago. He was German but he actually was at the University of Strasbourg which is a very beautiful village or small city actually on the French/German border. He was a professor at the University of Strasbourg in France. At the time it was German, and then it became French, and then German and then French again. It's right on the border. The photograph that I showed you is of a portrait which hangs in the library at the university of Strasbourg, of Dr. Von Recklinghausen. In 2006 I started a collaborative project involving the drug that at the time we thought was going to be useful for NF2 with a group of scientists at the University of Strasbourg. I would visit Strasbourg about once a month. Every time I went there and I would stop and stand in front of Dr. Von Recklinghausen's portrait and I would say I'm working on this. I'm working on this. That's my relationship. Many people despite the contributions feel that nobody could really pronounce his name in the first place. One of the other people who actually did work in the 20th century was an Austrian ophthalmologist, a formidable fellow, Dr. Lisch. In 1937 he described some clinical features of NF1, Nodules in the Iris as somewhat analogous (comparable in certain respects) to Café-au-lait Spots. They don't cause any medical problems. They're considered to be a clinical sign of the disorder. 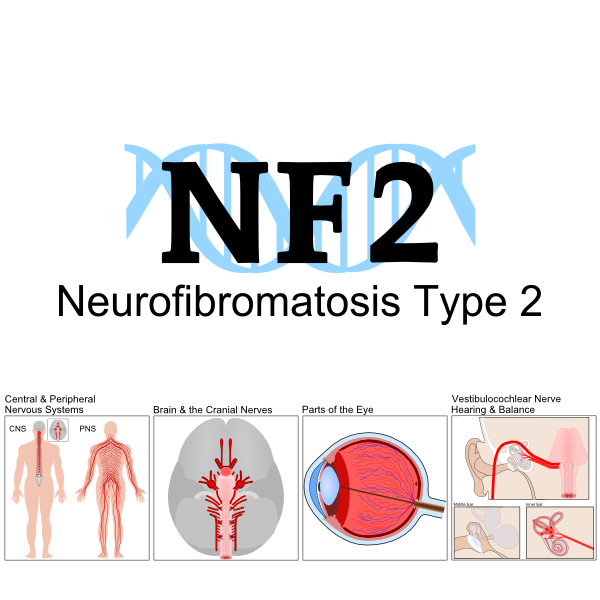 They subsequently became a clinical criterion for the diagnosis of NF1. He saw these in 1937, as I said. He was actually quite revered in the Austrian medical society for his contributions to NF. I don't know how well you can see the slide. This fellow on the left is Dr. Lisch. This was taken at a conference that I organized in 1992 to celebrate his 85th birthday, and to honor his contributions to the field of NF. One of the things I discovered in preparing for my talk in honor of him was that two ophthalmologists at my own medical center at the time, Mount Sinai in New York City, Goldstein and Wexler described these nodules but they didn't describe them correctly. They thought they were linked to Melanoma but they weren't. They were basically the capillaries of the irises. I jokingly said to Dr. Lisch at a dinner we had in his honor we call these Goldstein and Wexler spots at Mount Sinai. He was not amused. I seemed to have set off a long standing argument that preceded World War II. I learned a couple of things about being casual and joking at the time. So those were the two people who were interested in NF that I want to just mention that came before me. My interest developed in the late '70s. My interest was not so much clinical at the time, though it certainly became clinical when I realized how common NF was, but it was really because I thought it would be a useful topic for the new science of genetics to investigate. 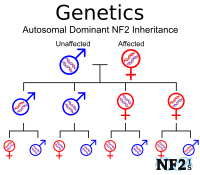 And in fact, it was only 12 years later in 1990 that the gene for NF1 was found, which was at the time considered to be news since genetics was not that old. But finding a gene for any disorder made at the time the front page of the New York Times. That no longer is the case because there have been such rapid advances in the science that numerous genetic disorders have been identified in terms of their genes, and the numbers of the types of cancer. It's obviously very important to everybody but it is no longer front page news. Fast forward to the present, I'm still working on NF. I'll just briefly mention a couple of things that I think could be useful to people with NF in the future. At the last conference we had on this, I discussed some efforts, to develop topical treatments for Dermal Neurofibromas. I just want to mention there is a laser low energy way that I'm involved with clinically testing which can deliver topical medications painlessly through the skin. This could be offered to a variety of topical treatments. It's currently being clinically tested with colleagues of mine. Lastly I will mention that I'm involved with a building a life sciences company, a company, I'm leading an effort with a company I've been involved with for many, many years, Cooper companies. This is a company that is getting involved with a variety of genetic testing technologies, IVF technologies, and one which I will mention which I think eventually will become of interest for anybody with a genetic disorder. You can't see the bottom title, but this is a device for flushing cysts. This is an in office procedure in which a woman can visit her OB GYN if she's trying to get pregnant and have fertilized eggs quickly and easily flushed out which can then be frozen and then subjected to gene diagnostic technology which as many of you know is very rapidly advancing both in sophistication, speed, and coming down in cost. Right now this is available for people who go through IVF and who want to have preimplantation diagnosis, something you may hear about. But this is something to be widely applicable to the entire population, and hopefully could be adapted for a wide variety of genetic disorders including NF1 and NF2. I'm going to stop there and welcome you all again to this conference. I'm going to introduce the next speaker. I'm not going to introduce the next speaker. (Applause). Celia Engelson: Welcome. I'm working with Dr. Yohay, and I am one of the clinical coordinators working with Carole. We'll make this quick because we're running behind just a little bit. This is kind of a fun cartoon. You put down that you have Neurofibromatosis. Can you please tell me what that is? Our center was created in 2008 to address the multifaceted needs of patients and families with NF. We have two locations. We have one center at 38th Street, the ACC, and the other one is the Hassenfeld Children's Center which is where the majority is based out of on 32nd Street. A rundown of who's who at the clinic, on the left is Dr. Allen and Dr. Yohay. Dr. Yohay came to us about a year ago. Dr. Karajannis, and Dr. Rubenstein who you just heard. Dr. Golfinos, and Dr. Roland who are NF 2 surgeons for our patients. Carole. (Laughter.) There's me. And we're very pleased to announce that we have Kara who is a genetics counselor who started with us about two months ago. We're going to tell you a little bit about our role. It is pretty much similar and a little bit different as well. We can help you with the intake portion of setting up an appointment, helping you understand what materials we're looking for when you come for an initial appointment, figure out which NF expert you should be seeing first. Carole works with doctors Allen, Karajannis, and Rubenstein and does things I'm not involved with like organizing this amazing forum. I work with Dr. Yohay, do the exams, and help coordinate care as well. During the initial visit we're going to figure out what your initial and secondary concerns are. We're going to figure out in doing an exam, reviewing the documentation that you bring with you whether or not you do or don't have NF or what other things are possibilities. And what's really great is we cannot only identify a need for genetic testing but coordinate getting that done now that we have a Genetic Counselor that's a little bit easier. And then we can formulate a diagnostic or treatment plan. The goals, the ongoing goals in care is we're going to introduce you or set up care with additional members of our Multidisciplinary Team and provide you with resources and contacts. We also have something that happens monthly. The NF Patient Conference which is where there's a situation where we want additional team members to chime in and give us their input when making a decision about surgery or another treatment option; maybe for a complicated situation or something where we just want to know we're covering all our bases. So we meet, and then we get back to you and let you know what the plan should look like. What happens after the initial appointment? We're going to send you or suggest referrals to specialists in various areas; Neurosurgery, Ophthalmology, Audiology, assorted services like Speech, Occupational Therapy, Physical Therapy, et cetera. The list is quite lengthy. 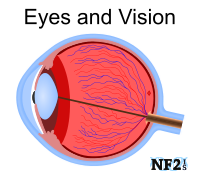 Ophthalmology follow up is very important with NF1 and NF2. That's going to vary in terms of how often you're going to need that. But it's ongoing. Audiology is very important, especially for NF2. We're going to probably want you to see audiology every six months. Imaging is a really big part of the plan. That's going to happen at fairly regular intervals. Whether you get it done here or in an outside facility we'd like to first talk to you about where you're getting it done. And then remember to ask for a CD. And then if you have NF2, even if you get it done here, we're going to ask for a CD as well. There's a clinical and basic research component available done here and through other agencies. You'll hear a bit more about this later today. This is just really the tip of the iceberg in terms of what we can offer you in regards to comprehensive multidisciplinary care. We look forward to working with you. Carole Wind Mitchell: Our contact information is in the brochure, and you can reach out to Celia or myself at any time by our email. Thank you. (Applause). Dr. Jeffrey Allen: Can you hear me? I see a number of very familiar faces. Can you hear? Everybody hear? That's better? I see a number of familiar faces here. Welcome. I join the ranks of patient as you can see. I had a knee replacement about three weeks ago. Probably crazy for being here. But that's the story of my life. I got up here. I have two presentations I'm going to make. Before I say anything more, I just want to acknowledge the role that Carole has played here really over the last year in organizing this conference. Where are you? Stand up. (Applause). She's worked very hard at this, organized us all. And put us in line. I think you'll really benefit a great deal from her work. My assignment is today and this morning to tell you a little bit about the Radiographic Diagnostic Procedures we have at our disposal in 2015 at NYU and elsewhere, and why we select each of these procedures for you based on your needs. Probably there's not a person in this room that has not had one of the three procedures in their lifetime. I think I'm fairly safe in saying that. We all have had CT Scans or MRI Scans more or less and they've replaced the general surveys we used to get like an X ray of the chest or the abdomen if we didn't feel well. So the oldest modern imaging procedure is called a CT scan, or Computed Tomographic Scan. This uses an external source of radiation. I'm going to show you a little bit how it works. The tomography is literally a term that means going around. All of these three technologies use that same concept of the imaging source going around our bodies. And a detector at the opposite end of the source, being able to detect the beam going through our bodies. In the case of an MRI scan, an alternation of an electromagnetic field, the PET Scan, or Positron Emission Tomography is a bit different. Here the source of energy and diagnostic information comes from within our bodies. We actually have cyclotrons on site nearby which can make a radioactive chemical and molecule that can replace a natural substance that we use every day. It could be glucose, or if we have another purpose it could be a Neurotransmitter. That chemical is taken up by our body very briefly, a short life. And then it can emit the PET scan to detect its presence. Those are the concepts. This is what a CT scanner looks like. Whether it's a CT Scan, or PET scan or MRI scan, they all look the same. Obviously the technology is different. . Basically we lie on that bed which moves in and out of that tunnel. See this says X ray source? That's the X ray tube you get when you get a chest X ray. That is basically directed towards your body. It moves in a ring. And the detector is on the other side. And then this bed moves in and out of the ring. So it's able to basically generate a picture of a slice of our body at various depths. And then there is a computer in this machine which will then generate an image. Brilliant technology. I can say I've had access to this in my residency training a long time ago. And then in about 1980s late '80s, we had the prototype of this machine; the broadcasting company in England first built an MRI machine. Although the technology if you will, the physical understanding of the concept came from a doctor at Stony Brook in New York for which he was awarded a Nobel Prize. I'm not going to tell you about the physics. I don't even understand most of it. But the anatomy of the MRI machine is such that you have a huge magnet. Right here. See that magnet? It surrounds us in the tunnel. Then you have the radio frequency coils. Remember the sound we hear in the machine, representing the changing electromagnetic field. Protons in water in our bodies are susceptible to this change in magnetic field and as they flip back and forth, they generate a signal which is detected by a specialized device and the information is interpreted by a computer and made into an image. It's absolutely brilliant technology. No radiation. The computer can generate pictures in three dimensions. We have axial, coronal, and sagittal. The radiologist and clinician can see in three dimensions almost every part of our body. You have to understand before this the only way doctors got to look at anatomy completely was at an autopsy. We had things like angiography, X rays, but we never could see in real-time the anatomy of the body. The CT was the first technology to do that for us and then came the MRI. The PET scanner typically is added onto a CT scan. One of the greatest advances here at NYU, one of three or four institutions in the US so far, is a PET scanner combined with an MRI. So we can spare a patient the extra radiation that they would have gotten from the CT scan when they get a PET scan. So they just get the radiation from the intravenous short lived radioisotope. 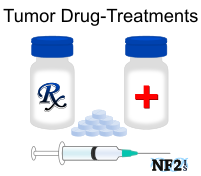 That's a real step forward for children and patients with a tumor suppressor gene syndrome such as NF1 or NF2. Now, I just want to show you how exciting the newer technologies are after I give you a little comparison chart. This is the most difficult slide. I already said a lot of this. But the CT scan is basically for bone anatomy. I'll show you some pictures. It's what every emergency room uses to screen. It's fast. It's not susceptible to the metal in our body. And there's a small dose of radiation. The MRI also is an excellent anatomic tool but it's for soft tissues, not for bone. No radiation. It has incredible diverse functionality. I'll show this to you. We can use MRI's on pregnant women; actually look at the fetus on an MRI scan. I'll show you some exquisite pictures. I guess one of its downsides is certainly for children. It's very sensitive to motion, and it takes a while. CT scan takes minutes and an MRI scan takes probably about 30 minutes. And a four year old or two year old is not going to stay still. So we have to sedate them. To me that's the greatest risk of the procedure. You can get an allergy to contrast material in both the CT scan and the MRI scan. And then we have the PET scan which I told you, is not for the anatomy but for the physiology. What is the metabolism of the tissue of interest? I have a couple of representative examples. On the left is a CT scan. The CT scan gives us excellent pictures. The white is bone. Inside the skull is our brain. The white matter is black here containing the nerve processes or axons. Superficially in our Brain Cortex lays the Gray Matter, the cell bodies of the Nerve Cells, and is lighter on the CT scan. We see a few blood vessels. And here is a mass. Water is black. And air is much darker. On the MRI scan you can see that the definition, the precision, is much better in terms of the tissues. The bone itself is dark. This superficial external rind that is white is the scalp. And then we see this mass now after contrast which appears bright. Here is the Pineal Gland. I'm going to show you a few of the diverse applications of the MRI scan. You see a mass in the brain. This is not a patient with NF. The surgeon would like to remove that, but wants to remove it as safely as possible. This is the left or dominant hemisphere. This is the location for speech and voluntary motor function. During the functional MRI Procedure, a psychologist accompanies the patient in the MRI suite and has him or her undergo certain tasks. The patient may be asked to read or to say several prepared words or sentences. The MRI scan can measure differences in the blood flow and they will appear brighter. The language areas appear yellow here. The psychologist will then ask the patient to tap the finger. And in this case he's going to ask him to tap the right finger. The motor representation of voluntary movement is here on the left. And then he'll tell a story, and the patient will listen. And he'll find some of the receptive areas. Now the surgeon can tell the patient I know I can safely operate through a number of corridors in the brain and do a radical resection of the tumor. Next slide shows the fiber tracks of the brain using diffusion imaging. Knowing where the normal fibers are displaced by a tumor helps the surgeon perform a safer operation. This slide shows MRI Spectroscopy (a measurement of light). We literally can do a chemical analysis of tissue in the brain with an MRI scan. See this white mass here? That white mass could be a tumor, could be an abscess. We don't know. Chemical analysis shows a very high peak for choline which is an amino acid concentrated in the cell, suggesting that there is an abundance of cell members as in a tumor. It's a marvelous technique, noninvasive. This is the PET scan following administration of molecule of radioactive fluorine attached to glucose, the fuel for most cells, especially cancer cells. You can see in black there are several metastatic tumors in the patient's lungs, and the patient gets chemotherapy and in four months we don't see the tumors. The PET scan is useful for monitoring treatment. The high degree of sensitivity of the MRI often identifies unexpected findings. Typically in an NF1 patient we see these T 2 hyper-intensities or UBO's, Unidentified Bright Objects. We used to think these were tumors and my colleagues frankly 20 years ago would treat the patient with chemotherapy. Since we didn't know what they were and whether they would cause symptoms we didn't want to biopsy them, given their deep locations for that could be dangerous. We used to do scans on kids from birth with cafe au lait spots. Once we did that, we had to do scans every month with sedation, because the MRI's were never totally normal. And by and large the UBO's turned out not to be clinical relevant. Here is an example of an infant who had multiple cafe au lait spots on the left, and those are UBO's or T 2 hyper-intensities. And at age 8 the MRI scan showed complete disappearance. 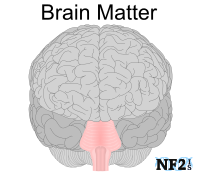 This is another example an MRI of an NF1 You're going to see the scans of NF2 this afternoon. But here on the left where the arrow is, you see an Optic Nerve Glioma. It's an exquisite picture really. You can see there's; darkness to it, some cysts and some brightness to it. But basically the eye doesn't work well. It's sticking forward. You can't see it on the scan. It's protruding. It's a tumor. It's only involving the left optic nerve. The chiasm in the right is totally normal. Here is another example of an enlarged optic chiasm in in a six year old. Here we have a true Optic Pathway Glioma. It is causing trouble and this child will need intervention. This is a more common tumor than you would see in a general population, more common in NF. It's called a Tectal or Midbrain Glioma. Where is this tumor? This child with NF has been suffering from long standing headaches. You do a scan and you could see he has Hydrocephalus, very large ventricles, the white is the spaces, and the question is why. If you look closely here, ordinarily we have an aqueduct, millimeters in diameter which carries water from inside our brain into the fourth ventricle and out. But there is a little two millimeter tumor right in the aqueduct. I don't know if you can see it but that's called a Tectal Glioma. The treatment is quite straightforward. The surgeon just puts a hole right here and does what they call a third Ventriculostomy. No other therapy is needed. 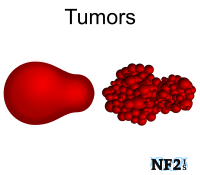 We often discover tumors in NF1 and NF2 that are not causing symptoms. Here is a tumor in the corpus callosum or crossing white matter tracts in the brain that is probably a tumor but is not causing any symptoms. It's been stable for years. You can see before contrast, enhances, and it's quite extensive. Here is another incidental tumor in the brain stem of an NF1 child picked up because she has another optic pathway glioma. We've been following this for five years, hasn't changed, no symptoms and now we get to the spine. This young lady, 16 years old, is complaining of some pain in the left neck cervical region. Obviously this was the tip of the iceberg. Because when we did a spine MRI with a coronal views using a special sequence called STIR, we found very extensive Plexiform Neurofibromas. When we looked at her abdomen, we found almost every nerve was thick. But they were asymptomatic. So we're going to biopsy this mass and offer her a clinical trial with a new medicine. This is MRI of an NF2 patient. She is 17 years old with progressive hearing loss. 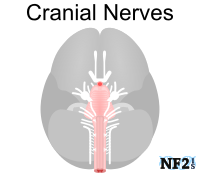 Here the tumors that we see on MRI scan arise from cranial nerves, the 8th cranial nerve. They will grow into a normal atomic space called the internal acoustic foramen. 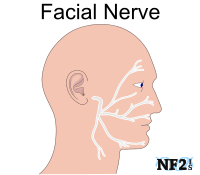 There's a Facial Nerve there, Vestibular Nerve there, and a hearing nerve. All that can be compromised. Certainly the Vestibular Schwannoma on the left is larger than the one on the right. The brain stem is being compressed. And we consider all of the options that Dr. Roland is going to tell us about this afternoon. And then when we look at her spine, we see multiple enhancing Peripheral Nerve tumors just below the end of the Spinal Cord, and a small Meningioma. MRI scanning does have limitations, when a person has metal in the body, the MRI gets very confused. So here is a patient with Scoliosis. He's had internal rods placed to straighten the spine. He's developed new neurologic findings, weakness in the lower extremity. I wanted to do an MRI scan of the spine. It was useless because of all the metal artifacts you can see. So we had to do a Myelogram (contrast dye and X-rays or CT scan). This is the last slide. This is the PET/MRI. This particular NF1 patient was complaining of a painful mass in the left armpit. We did an MRI scan, and you can see a large mass. Worrisome. Before we could plan whether to remove it or biopsy it we wanted to do a PET scan. We have parameters on the PET scan which will tell us the likelihood of this being an Ordinary Plexiform Fibroma or a Malignant Peripheral Nerve Sheath Tumor. They're very informative studies. In this case the whiter the signal, the greater the likelihood this is a malignant tumor. The PET scan will also guide the surgeon which part of the tumor to biopsy. That's how the MRI has helped us. You can see it shows us the whole body as well. And it reminds us that we use our brains look up how metabolically active our brains are. In conclusion we have the ability to examine all parts of the body to precisely define anatomy, usually with a CT, MRI, with and without contrast, and to establish metabolism, the PET. The scans of the brain often reveal many incidental findings in children with NF that are difficult to interpret and we don't want to overdo it with the kids because we have to put them to sleep. This is why the children need to be followed by a neurologist so we can see whether there are any clinical manifestations of the findings on the MRI. Your NF team will help determine which if any imaging procedures are indicated, and select the most appropriate and safest procedures for you.